I am reassured to see from Ely Ratner's most recent post in our exchange on US-China relations and the South China Sea how much he and I agree about, because I have such a high regard for his ideas on these important questions, and for his lucid and gracious way of presenting them. In fact, we agree on even more than he thinks. I'd like to signal in particular my emphatic agreement with him about something he thinks we disagree about. It is the first of the two main issues he raises in his post: can China be deterred from its provocative pattern of action in the South China Sea. Like Ely, I think the answer is 'yes': I am sure China could be deterred, because like him I think Chinese leaders are very keen to avoid a war with the US, which they know they cannot win. Where we may differ is over whether, as things stand in Asia today, China would in fact be deterred from an armed response to a new and more assertive US policy of the kind Ely has proposed – one which went beyond previous repertoire of ineffective gestures and really challenged China's assertiveness in the South China Sea. I think this kind of shift in US policy would pose a very serious problem for Beijing. It seems China's whole approach to the South China Sea in recent years has been premised on the judgment that Washington would not do anything like this. They have assumed instead that America would do exactly what it has done until now: register ineffective protests but stop short of any steps that would risk a confrontation which might disrupt the wider relationship or lead to an armed clash. So far, their assumption has been correct. But if Ely's proposal was adopted Beijing would have to think again. It would face a very difficult choice. Backing down in the face of a more robust US policy would be a big loss, because much more is at stake in the South China Sea then rocks and reefs. It is about China's regaining its place as a great power, or indeed the great power, in Asia, and that is a very high priority indeed for Zhongnanhai. Backing down in the face of a more muscular US posture would mean acknowledging that America remained the preponderant power in Asia and abandoning, at least for a time, their ambitions for regional leadership. I think China's leaders would very reluctantly accept this if they were truly convinced that the alternative was war with America. But would they be convinced of that? That of course depends on their judgements of US resolve. Would the steps Ely proposes really be enough to convince them that America was willing to fight China to defend its leadership in Asia? 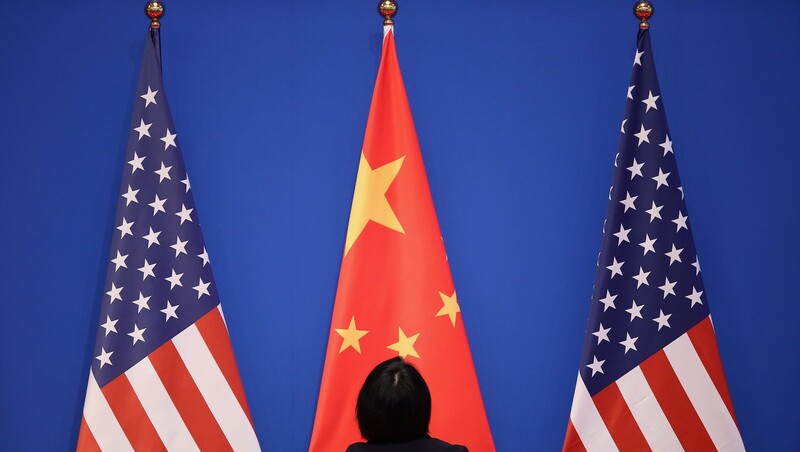 If they were not convinced, Beijing would be sorely tempted to call Washington's bluff and push back hard, in the hope of forcing America to back off instead, because that would be an even bigger setback for US credibility in Asia, and an even bigger win for China. Beijing would be taking a risk, of course, but it seems willing to do that. And if China was not deterred, America would face an even tougher choice about how to respond in turn: surrender regional leadership or risk major war? From that it follows that Washington should only adopt Ely's proposals if it is very confident that China would in fact be persuaded of US resolve – the resolve not just to remain the leading power in Asia, but its willingness to accept the costs and risk of major war to do so. There are two elements to this. One is the question of whether or not America in fact has this resolve. The other is the question of whether China believes it does. These are in theory separable; Washington could try to convince China of a resolve that it actually lacks. But a bluff like this is risky, especially when you are not sure yourself whether you are bluffing or not – as Mr Trump has shown us recently. So I think it would be unwise to try to persuade China of US resolve before Americans have really made their own minds up about whether they are willing to fight a major war to preserve their leadership in Asia. This brings us to the second of the main points in Ely's post. This is the question of why China has cause to doubt US resolve. Is it the inevitable result of the redistribution of power and interests, or is it simply that the US has not done a good enough job so far of getting the message across? Ely thinks it is the latter, and conjures the beguiling image of a Washington Dream Team that could, he thinks, convince China that America is in Asia to stay, and to lead. Could they succeed? Much depends on what precisely they were trying to persuade Beijing that America has the resolve to do. It would be very hard for them to convince Beijing that America has the resolve to maintain - or rather, re-establish - its long-held primacy, because America would have to push China very hard indeed if they are to deny it any significant increase in its regional influence, and China would push back very hard in return, so the costs and risks to the US would be very high. It is easier to imagine that they could persuade Beijing that the US has the resolve to sustain some lower level of strategic engagement in Asia, because, at the risk of making it sound a little mechanical, the smaller the role America claims, the less it will have to push China to sustain it, so the lower the costs and risks to the US, and the easier it will be to persuade China that the US has the resolve to bear them. I think it is possible that America could persuade China of that, because America could, in theory, genuinely conclude that its interests in Asia are important enough to be worth the costs and risks of imposing some constraints on China's exercise of its power in Asia. But I am much less sure that even Ely's Dream Team can do this without much bigger shifts in thinking and attitudes both within and beyond the Beltway than we have yet seen. Within the Beltway, the US policy community needs to conduct back-to-basics debate – so far only just beginning – about what kind of posture in Asia would offer a sustainable balance between America's interests on the one hand, and the costs and risks it is willing to bear on the other, in an era when it faces a rival that is in some ways more formidable than any that America has ever faced before. Beyond the Beltway, US political leaders must convince Americans at large that their interests are worth the costs and risks involved in sustaining that posture. It is easy to agree that the Trump Administration will not be able to do that. It is less clear whether we can reasonably expect a future administration to do much better. Finally, and just to be crystal clear here, I do not think that America has to fight a major war in order to preserve its leadership in Asia. It simply has to convince China that it is willing and able to do so. Just as in the Cold War, America didn't need to fight the Soviets to contain their challenge: it only needed to convince the Soviets that it would. But doing that required both a rock-solid policy based on hard-headed strategic analysis, and the concerted and sustained efforts of several generations of remarkable American leaders. And that is what would be needed to preserve US leadership in Asia now. The bomb attacks on Coptic churches in Egypt highlights the occasional focus by Islamist groups on Christian targets in the Middle East.